It is enlightenment to know one's self." The first time someone asked you, "Who are you?" you might reply by saying your name. If someone asked, "Who are you?" a second time, you might state your job title, in order to provide information that helps to set you apart and explain your relationship to others. If I was asked, "Who are you?" on a college campus, I’d likely mention that I am an alumna, or mention that I have a degree in Physics from UC Berkeley. If asked this question at an airport in France, I’d mention that I’m an American citizen who lives in California. When asked this question on a TV interview, I’d say I’m a best-selling author of the books, Quantum Jumps and Reality Shifts. If asked this question by a meditation master, I’d reply, "awareness." While each of my answers could be considered accurate and true, a good case could also be made that none of these descriptions is who I really am—since there is more to me than just my name, job title, citizenship, and other descriptors. 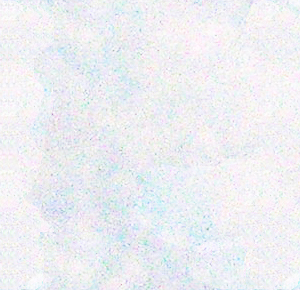 And based on what I have learned about the way we exist in a superposition of states—as can be seen in the doubling of the efficacy of the placebo effect over the past thirty years—I am aware of the importance of keeping a positive, open mind to considering myself to be doing better than how any given label or description might seemingly confine me. One of the things we most take for granted is knowing who we are—yet this is one of the biggest areas in which we have room to increase our understanding of what is possible in our lives. People sometimes discover that they can do things they didn't think possible—when circumstances require them to handle situations they've never previously faced. In an emergency, people have been known to be able to perform amazing feats of courage and strength, such as lifting a heavy car off of someone else. When some people have transformative life experiences, they often realize there is nothing holding them back from pursuing the life of their dreams, seeking out new kinds of friends, activities, and work. Some employers administer personality tests, such as the Myers-Briggs Type Indicator (MBTI) in hopes of establishing a better fit between applicants and job openings. The idea is that such tests can help sort out tendencies people have toward being an introvert or extrovert, senser or intuitive, thinker or feeler, and judger or perceiver— providing us with clues as to how people with shared personality characteristics tend to respond to various situations. 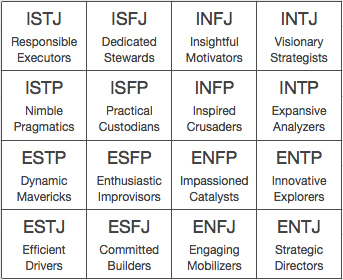 As tempting as it might be to get your MBTI score and think, "At last I know who I am! 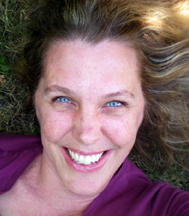 I am a ______," filling in blank with one of the sixteen MBTI personality types, such as “INFJ" for example, for "Introverted Intuitive Feeling Judger", psychologists are finding that people can sometimes move around from personality type to personality type, such as becoming more extroverted. One very important quality that personality tests don't describe is what level of consciousness you are accessing at any particular moment. Such levels include: waking, dreaming, deep sleep, and a sense of oneness awareness—with transitional levels in between. Some yogis and martial artists are capable of developing the ability through meditation and internal energy work of changing their level of consciousness, allowing them to interact with their environment with harmonious grace and ease. While we move between these levels of consciousness on a regular basis, we seldom give much thought to how we engage with these levels of consciousness, or who and what we’re connecting with while we’re dreaming or daydreaming, for example. What scientists can measure is that they associate some of these stages of consciousness with brain waves, with the lowest stages of unconsciousness corresponding with Delta brainwaves in the 0.5 to 4 Hz frequency range, and Theta brainwaves in the 4 to 8 Hz range. We consider ordinary waking consciousness to correspond with Alpha brainwaves between 8 to 13 Hz, and Beta brainwaves between 13 to 30 Hz. Gamma brainwaves at 30 to 42 Hz, are associated with extreme abilities to focus, and high states of ecstasy. more money than could possibly exist!" 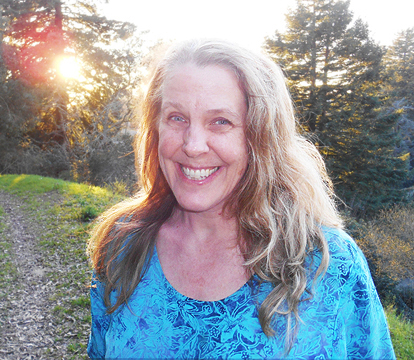 Join Paranormal Archaeologist River WildFire Moon and Medicine Woman CinnamonMoon as they share insight into spiritual development and creating a foundation for developing your innate sensory abilities, talking with Cynthia Sue Larson about quantum jumps and reality shifts. I talked with Stuart Hameroff this month about his ideas about quantum physics and consciousness. 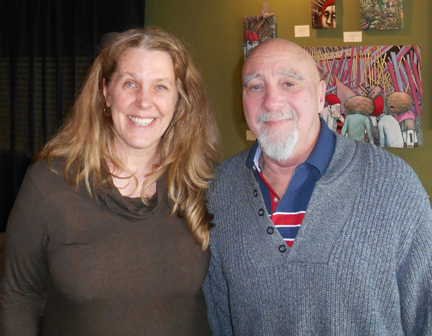 Dr Hameroff is a clinical anesthesiologist and Director of the Center for Consciousness Studies at the University of Arizona, and lead organizer of the Toward a Science of Consciousness conferences that began in Tucson, Arizona in 1994. Stuart Hameroff’s research involves a theory of consciousness developed over the past 20 years with British physicist Sir Roger Penrose. Their Orchestrated Objective Reduction (‘Orch OR’) theory suggests that consciousness arises from quantum vibrations in protein polymers called microtubules inside the brain’s neurons. For a review, along with critical commentaries and replies, see: http://www.sciencedirect.com/science/article/pii/S1571064513001188 Hameroff and Penrose suggest these vibrations compute, collapse, interfere and resonate, regulating neuronal processes and connecting to the fundamental level of the universe, providing moments of conscious experience and choice. I am glad to hear that you and two other readers of Reality Shifters recall Thanksgiving as always falling on the third Thursday of November. I actually ended up writing about this exact same subject in the second edition of my Traveling To Parallel Universes book. Since I was a child, I remember Thanksgiving always having been on the third Thursday in November. When I was writing my book, and I read your 2013 newsletter, I was confused when someone mentioned that Thanksgiving now falls on the fourth Thursday in November. I had to check my calendar to see when Thanksgiving falls, because for me, I've always experienced it falling on the third Thursday of November. 2014 was the first year that I've ever witnessed it being celebrated on the fourth Thursday. I mentioned this in my book, and I also mentioned the 2013 issue of Reality Shifters in which someone else noticed Thanksgiving changing to the fourth Thursday. I'm glad that I'm not alone in noticing this! I noticed too that there wasn't any record of the holiday having changed to the fourth Thursday when I experienced this phenomenon. It was "always" that way. It really confused me! That's why I immediately looked at my calendar and was shocked to find that it was being celebrated on the fourth Thursday in the parallel universe that I was in. In my book I mentioned it, because I thought it was interesting how a holiday that is celebrated by millions of Americans can even differ from one universe to another. I had included several personal stories of mine and stories of others that were on a smaller scale in my book, but I wanted to include the Thanksgiving incident to mention to people that sometimes the differences from one universe to another happen on a larger scale that involve millions of people although those millions of people may not have ever experienced Thanksgiving having been celebrated on the third Thursday in November. I've noticed other large scale differences from one universe to another. For example, Jesus always came from a poor family in every universe that I was in until I visited one universe in which the story changed to that of him having come from a rich family. In that particular universe, although he had a lot of money, he left home and his riches behind when he was in his 30's and traveled around to teach and heal people. His followers provided him with food, water, etc. as he traveled. I mentioned in my book that it was interesting because while I was taking Bible classes in the summer of 2013, I asked the teacher why if Jesus was a Jew did the Jews not follow him? Why did they form their own religion, instead of, becoming Christians? The teacher told me that the Jews didn't believe that the messiah could be a poor person. They thought that if Jesus was truly the messiah that he should have been rich. Therefore, the Jews didn't believe Jesus was the messiah, and they didn't follow him. Hence, they formed their own religion (Judaism). This was the story in one of the universes that I traveled to in which Jesus was said to have come from a poor family. So, I mentioned in my book that it made me wonder whether in that particular universe that I traveled to briefly in which Jesus was rich whether the Jews ended up following him. If he was rich in that universe, then maybe the Jews there did follow him, and Judaism was never formed. It also made me wonder whether the poor ever followed him in that universe. Unfortunately, I wasn't very versed in Bible studies at the time that I was in that particular universe. So, I didn't ponder those questions, and I, therefore, didn't seek the answers. I was only in that universe for a brief period of time. So, I wouldn't have had time to seek a lot of info. anyways. However, I thought that since it was such a large scale discrepancy between the universes that I should mention it in my book. Note from Cynthia: Thank you for letting me know the moving Thanksgiving holiday is something you've recently observed, and that you've included mention of it in the new edition of your book, Traveling to Parallel Universes. I suspect this is one of those shifts that more people will notice, and as they do, question why and how such a change could occur. And people who investigate to find out when the holiday moved may be surprised to see there is no historical recent record of such a change--that now it's "always been that way." Welcome to parallel universes! Thank you for your great newsletters. I am in the process of reading your book. I am about half way through it, and this was the third night in a row I had been reading it. Last night after reading for a while, I started to get sleepy, so I decided to quit and check my emails and shut down my computer for the night. I turned my chair around, and faced the living room. As I started to get up, I ‘saw’ the leaded glass candle holder I have on the coffee table move 3-4 inches to the left. Just like that—like an invisible hand was pushing it. I was startled, but not afraid and kept on thinking, wow wow wow. The candle holder is 71/2” X 5” X 4” at the base. It is leaded crystal and heavy and it is impossible to move by itself, or so I thought. I have been thinking a lot about healing via energy shifts. I never expected to see movement like that in my reality. Perhaps something moved and then later returning, but not moving as I look. What a great experience. I have had other unusual experiences like astral traveling, but this a first of the reality shifts you speak of. When reading the book, I was hoping to have some experiences, especially healing ones, which I have been asking for. So, I was looking forward to unusual experiences, but not expecting the movement kind. I do have a spirit guide who comes to me in the form of a blue light, flash or sometimes a star, but these are fleeting and I feel they are guidance. This was like magic being shown me. The candle holder is quite large and heavy. I put tall pillar candles in it. It would take some pressure to move it. The experience happened 15 min. after I stopped reading so these thoughts were still fresh in my consciousness. In the past I have dabbled in reality jumping to another slice of time but have not had a lot of great success. Perhaps because I am not consistent. This was so spontaneous, and exciting. I was surprised, but not afraid at all. Just kept thinking wow, wow, wow. I am really enjoying the book. I did not really expect to have an experience so soon. 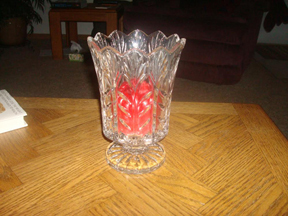 Note from Cynthia: Thank you for writing to let me know you saw a leaded crystal candle holder slide across your coffee table. Very cool! When we witness something moving like a heavy candle holder, we are given an opportunity to become a great deal more open-minded about what the possibility for all kinds of changes to occur--including healing reality shifts! I regularly hiked alone in Somerset, England when I was in my late teens as I lived in a rural area, had no transportation, and while others of my generation were "dropping out" with drugs etc., I was meditating under an oak tree watching rabbits and foxes. One day on my usual trail between dairy herds, rapeseed crops, and fallow fields, I looked ahead and saw a field completely covered and gleaming with bluebells. At that time I guess farmers had no use for bluebells, so it was quite rare to see that on farms, although it was still possible to see bluebells around streams and non-agricultural areas. I was so thrilled to be able to pick some for my mother who loved them very much. I ran full pelt to the field gate and leaped up onto the bottom rung, only to see nothing but green grass. I was shocked. I must have jumped into a past time when that field had been full of bluebells, but at the time, I was very shaken and afraid. I was not wearing sun glasses... in England back then it was not something we did or needed really. I saw a field of moving bluebells as the wind swayed them. I fully believe it was a time warp, that I was seeing the field from maybe 50 years or 100 years before that. Something like just a color switch would not have given me goosebumps and sent me dashing back home in fear. Thank you for giving me an explanation of this phenomena. Note from Cynthia: I love reading how you were so shocked to see that the bluebells were gone that you dashed right home, as I'm sure I'd have done the same thing upon having a similar experience. While reading about your having seen now-you-see-it, now-they're-gone bluebells, I got a sense that similar things have happened to me. Not with bluebells, but with other things I've glimpsed, then done a double take to see it's not what I thought at all. Another event happened while driving. I had a new boyfriend who invited my daughter and I to dinner and drove us in his little sports car to his house. On the way he was very pre-occupied with impressing me and chatting and was not paying much attention to driving the car. On one narrow road an old lady pulled out from the right in front of us. Probably she did not see us because the sports car was small. My boyfriend was not watching this event as he was looking at me, but I saw it and realized we would hit her car as there was not enough time for us to stop. I was aware of the danger to my daughter in the back seat, and it activated some power from my third eye. My third eye opened and in slow motion some powerful energy pushed our car back away from this woman's car as if it was repelling it like a reverse magnet; we stopped with an inch to spare. Strictly speaking by the laws of Newtonian Physics, we should have plowed into her back. The old lady had no idea what she had done. My boyfriend had no idea either as he thought it was his braking that stopped us. But I knew this power had come from my third eye, and some time later learned in the book by Elizabeth Haich called "Initiation" that this was the same power used to build the pyramids. Note from Cynthia: I'm glad you got a chance to corroborate the crash-avoidance with your daughter, who could confirm that your boyfriend was not a good driver. It's interesting that neither your boyfriend nor daughter felt it had been a close call--but then, they weren't the ones with the awareness you had of experiencing a spacetime dimensional warp that provided you with a safety buffer! My name is Zainil Dhamani and im from India. I read your article about quantum jumping and i was shockedto know that such a thing exists. Could you please explain the process/procedure on how to perform quantum jumping. While the idea may seem bizarre that we exist in a superposition of states, sometimes we see glimpses of the way this is the case--such as anytime we see reports of the placebo effect's amazing efficacy, or read studies in which people actually feel more confident after having struck "power poses." The key to consciously quantum jumping is to recognize that you are not your body, but rather you are your consciousness--you are awareness. Through this shift in identification, it's thus possible to learn attain a relaxed, energized meditative state of mind from which you can visualize another possible you, and then take action as you would if you had those qualities. 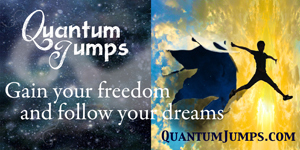 My book, Quantum Jumps, provides dozens of laboratory-tested things you can do that can help you make such jumps, and also has numerous exercises to help you gain confidence in your quantum jumping ability. My initial fascination with reading David Meltzer's book is his connection with Jerry Maguire, the real-life sports agent featured in the movie by the same name starring Tom Cruise. I loved the scene in the movie in which Jerry Maguire had an epiphany that he shared at his place of work regarding practicing positive ideals in life and daily business dealings. Maguire lost his job and most of his clients for "growing a conscience," yet in real life and in the film, he found a way to succeed while following a higher path. Like Maguire, Meltzer had an epiphany in which he realized it is possible to succeed while helping others and doing good deeds in the world. Success in business does not require that one claw one's way to the top, striving to "win" at all costs. Meltzer shares success tips in a series of short, easy-to-read, down-to-Earth tips demonstrating ways that we can develop effective positive habits. Meltzer repeatedly emphasizes the importance of knowing ourselves and what truly satisfies us deeply in lasting ways, in order that we avoid choosing options that stroke our egos without actually addressing our deeper needs. He shares an example of how he manifested a golf course at a time when he felt a need for being recognized as having a property named as one of the best eight golf courses in the county by Golf Digest, rather than focusing on what he actually desired, which was building a truly spiritual place that many could enjoy. Meltzer's enthusiasm as a salesman comes through brilliantly with his example of how, in less than a minute, he can sell you a plastic pen for a million dollars, even though it appears to be the same pen you can buy at Walmart for 39 cents. I won't reveal the genius behind his sales pitch, other than emphasize his point that when people recognize value, they feel motivated to sign on the dotted line and close a deal. Many of the principles found in CONNECTED TO GOODNESS emphasize spiritual principles found in perennial wisdom traditions, which readers are encouraged to try out and practice in everyday life. Such simple things as remembering to feel and express gratitude every day, and remembering to get and stay connected to goodness can build a solid foundation for every aspect of life. I recommend CONNECTED TO GOODNESS to anyone wondering if there is some other way to succeed than "selling out," taking advantage of people, and ending up feeling empty inside. Like Jerry Maguire, Meltzer is living proof that it is possible to bounce back up after having hit rock bottom, and Meltzer shares the tips he's found most effective at experiencing success while strengthening ethical principles that provide our lives with meaning and purpose. Deepak Chopra writes in "The Future of God", "Faith must be saved for everyone's sake. From faith springs a passion for the eternal, which is even stronger than love. Many of us have lost that passion or have never known it." Chopra's "The Future of God" is a soulful, brilliantly researched, eloquently written response to proponents of material realism and militant atheism. I love the way Deepak explains in pure, simple terms, "You are whatever your faith is." Chopra explains that skepticism is a good first step to exploring and finding our faith, as he points out the important differences between bad faith--which we can identify by the way it opposes spiritual growth. Faith can be either a guide to spiritual growth, or an obstacle. It is possible to consider oneself an atheist and have faith, and it can be possible to have good faith--that improves one's experience of life, or bad faith--which can be recognized by the effect it has in the world. Faith exists in us as the core ideas and beliefs we live by, and these inner beliefs direct and inspire our every thought, word, and action. When we come to know that we ARE our faith, as Deepak points out, "It then becomes vitally important to know good faith from bad." Every generation faces questions of "Who are we?" and "Where did we come from?" In modern times, we find 'postmodern' themes questioning our identity in popular culture and movies, which invite us to more deeply question the connection between who we think we are and what we think we know of reality. Many are struggling with what they consider to be an absence of faith, without noticing that atheism can be viewed as a particular kind of faith. Non-spiritual scientists can be as faith-based as religious believers, to the point that they can suppress thinking and research in directions that don't conform to conventional guidelines. When scientists become close-minded in their beliefs, they can often unknowingly become believers in a faith of scientism--the belief that one day the scientific method will solve all problems. Proponents of scientism can be every bit as arrogant, self-righteous, dogmatic and intolerant as religious fundamentalists, which are indicators alerting us to the presence of bad faith. Chopra points out that while proponents of material realism and militant atheism such as Richard Dawkins, Daniel Dennett, Christoph Hitchens and Sam Harris profess to be voices of logic and reason, their prejudice in discrediting religions and spirituality is evident in their use of such derogatory terms as: 'superstition,' 'false consolation,' 'mind-fogged manacles of servility, 'pseudo-science,' and 'the God delusion.' What Chopra calls for, in order that God may have a future in modern human society is a new way of living spiritually, thanks to a total rethinking of reality. Chopra invites us to realize that, "when you challenge God, you challenge reality itself." "The Future of God" is designed to show you "how to reconnect with God so that he becomes as real as a loaf of bread and as reliable as a sunrise." The heartfelt message of "The Future of God" is that faith can feel like a cry from the heart for each and every one of us. Faith in itself may not deliver God, but it makes God possible for us to feel and know a greater sense of connection, meaning, and purpose in our lives. Ultimately, "The Future of God" is a call to finding the path to God--the nondual God without borders--that is beyond description, words and definition. Chopra apples the same standards to God that are typically applied to reality, and then invites us to walk the path to God first through the material world, then through the subtle world, and finally to the transcendent world of source, oneness and unity. This path to God can seem un-mappable, because these three worlds overlap and because we "walk" them through our inner awareness, rather than any measurable path or road we can clearly chart. Where "The Future of God" truly shines for me is when it describes the wisdom agenda and the proposition that faith--good faith--makes life better. Wisdom in action can be found in the perennial teachings that encourage us to look deeper than the surface of situations, where we can find and know meaning, purpose, and the greatest gifts self-awareness can bring. What I love most about "The Future of God" is the way it shows how each of us can make spirituality a rewarding and beneficial way of life, no matter how skeptical or hopeless we may initially feel. I love how Chopra describes how the spiritual path changes you as you feel less isolated, more connected, service-oriented, safe, balanced, peaceful, and guided. And I love to envision a world filled with people who feel less isolated, more connected, service-oriented, safe, balanced, peaceful, and guided. "The Future of God" includes a seven day process of exercises designed to bring comfort with the inner subtle world, and the presence of the transcendent in daily life. Chopra's description of God in the transcendent world applies to consciousness and how it operates as: pure awareness, pure intelligence, pure creativity, infinite potential, unbounded opportunities, bliss, self-organization, infinite correlation, and all matter and energy in a virtual state. Chopra explains that we find God when any of these aspects of the transcendent world begins to expand--and "when you fully remember who you are, you become one with God." Highly recommended! 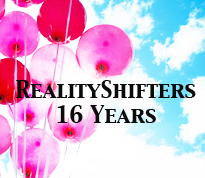 Over 7,800 RealityShifters Subscribers live in 84 different countries around the world -- with the majority in the United States of America, Canada, the United Kingdom, Australia, Africa, New Zealand, India, the Netherlands, Malaysia, Mexico, Italy, Sweden, Germany, Brazil, Belgium, Singapore, South Africa, the Philippines, Japan, Norway, Ireland, Denmark, Spain, Israel, and Panama.